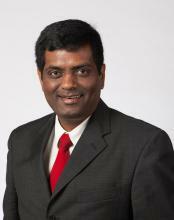 Dr. Deepak S. Gupta has been appointed the new Associate Vice President Research at Kwantlen Polytechnic University. Dr. Gupta comes to KPU from Centennial College in Toronto where he served as the Executive Director for Applied Research, Innovation, and Entrepreneurship Services. “Dr. Gupta brings to KPU a strong international background in innovative research and industry developments that will boost KPU’s research capability,” says Dr. Salvador Ferreras, KPU provost and vice-president, academic. Dr. Gupta has been recognized with nearly 20 awards and recognitions over the course of his career. He received his engineering doctorate from Washington University in St. Louis. He also has a Bachelor of Technology in Chemical Engineering from the Indian Institute of Technology (IIT), Kharagpur, India. Dr. Gupta will join KPU on December 10.